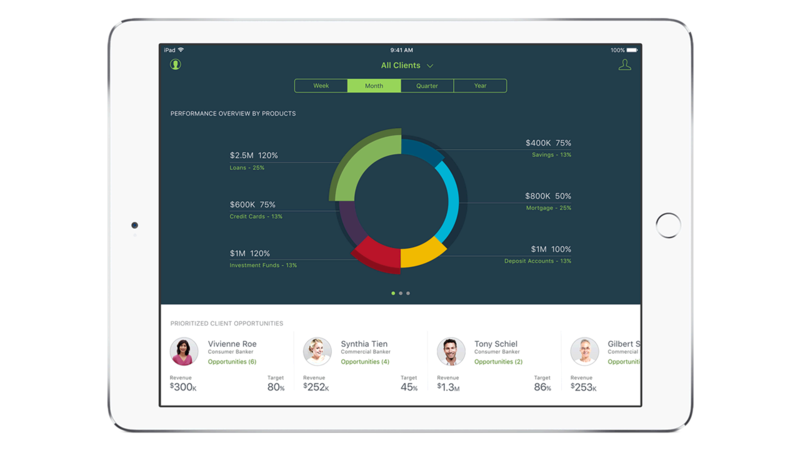 IBM MobileFirst for iOS Manage Sales provides branch managers with a graphical view of branch sales data – showing problem areas and opportunities. Manage Sales provides branch managers with graphical representations of branch sales data that quickly communicate problem areas and opportunities. The manager can also access a detailed view of each banker’s sales performance and actionable steps on pending deals. Manage Sales provides graphical representations of branch sales data that quickly communicate problem areas and opportunities. Get a view of bankers with pending opportunities, prioritized for a branch manager’s action. The app provides a detailed view of each banker’s sales performance and actionable steps on pending deals. Manage Sales gives you tools for providing task direction to bankers through Salesforce and viewing past activity.